William Playfair, designed 1820-4; Nos 16-22 built early 1860s. Part of extremely long 121-bay palace front terrace of townhouses with arched and rusticated ground floor; to centre, 3-storey section punctuated by three 3-storey and attic Corinthian colonnaded pavilions; to left and right flanking 3-storey balustraded sections leading to 3-storey sections with 3-storey and attic Ionic colonnaded pavilions; 2-storey balustraded sections to outer left and right; basements to all houses. Droved ashlar to basement; V-chamfered rustication to ground floor; polished ashlar to upper floors; predominantly coursed squared rubble with dressed margins to rear elevation. To principal elevation: base course; dividing band between basement and ground floor; impost course to ground floor; dividing band between ground and 1st floors; to 1st floor, narrow band course broken by window to each bay. Regular fenestration to principal elevation; predominantly regular fenestration to rear elevation; to basement, predominantly segmentally headed openings (excluding No 16); to ground floor, round-headed openings in round-headed overarches. N (PRINCIPAL) ELEVATION: 21 bay elevation; 3 bays to each original townhouse; to left, 9-bay, 3-storey and attic Corinthian colonnaded section; to centre, 9-bay, 3-storey balustraded section; to right, 3-bay, 3-storey and attic Corinthian colonnaded section. To basements, all areas beneath platts (excluding No 16) blocked by wall with predominantly 2 windows; to centre, timber doors (modern 2-leaf timber door to No 22) with segmental fanlights (some blocked) to centre, single windows to remaining bays. To ground floor, to 1st, 6th, 9th, 10th, 15th 18th and 19th bays from left, steps and platts overarching basement recess, leading to timber-panelled door (2-leaf to 1st, 9th and 15th) with flanking margin lights to 10th 15th and 18th bays and segmental fanlight (blocked to 6th bay); windows to remaining bays. Cast-iron balconnettes to 1st floor windows; to outer sections, giant attached Corinthian columns dividing bays, supporting entablature with modillioned cornice between 2nd and attic floors, eaves cornice and blocking course; to central section, band course above 2nd floor windows, modillioned eaves cornice and balustraded eaves parapet to 3-storey and attic outer sections. Pilaster strips dividing bays to attic storeys. S (REAR) ELEVATION: predominantly 2-bay elevations; 3-bay elevation to No 18; piend-roofed 2-storey canted bay to right bay to No 16; 31/2 storey advanced centre bay to No 18; to No 19, to right, small single storey piend-roofed out-shoot with round-headed niche; 2-storey canted bay to left bay to No 22; to basement and ground floors to Nos 20, 21 and 22, modern extensions with extensive glazed sections. Band course between basement and ground floors and between ground and 1st floors; cornice and band course between 2nd and attic floors; eaves band; blocking course to No 22. Some bipartite and tripartite windows. GLAZING etc: to principal elevations, predominantly plate glass, 4-pane glazing to 2nd and attic floors to 1st-9th (inclusive) bays and 19th-21st (inclusive) bays from left; to rear elevation, mixture of plate glass, 4-pane glazing, 12 pane glazing and 16 pane glazing; glazing predominantly in timber sash and case windows. Double-pitch roofs with central valleys; graded grey slate; stone skews. Mutual corniced ridge stacks to dividing skews; predominantly circular cans. RAILINGS AND BOUNDARY WALLS: to front, edging basement recesses and platt, stone coping surmounted by cast-iron railings with dog bars, spear-head finials and distinctive circled border; wrought-iron lamp standards to left of platts to Nos 17 and 21, to right of platt to No 19. To rear, forming boundaries of gardens, random rubble walling with flat coping; end wall surmounted by spear-head finialled cast-iron railings. To garden of No 21, circular Roman Doric colonnade. INTERIOR: No 16: to ground floor; to lobby, polished marble floor, very ornate plasterwork to ceiling including floral painted panels, glazed and timber door and screen; to former dining room, black slate chimneypiece, good ornate plasterwork including ceiling rose, distinctive panelled door, dentilled corniced doorpiece. To stair and stair hall, pitched rectangular cupola above stair, ornate plasterwork to below stair well ceiling, Greek key frieze and plaster bas-reliefs to 2nd floor level, good plasterwork to landings and stair, stone open-well stair with carved timber newels, balusters and pendants, some distinctively panelled timber doors in dentilled corniced doorpieces. 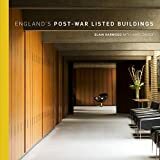 No 17: to ground floor; to lobby, compartmented ceiling, good plasterwork; to former dining room, timber wall panelling to dado height, compartmented ceiling, excellent plasterwork. Stone stair with cast-iron balusters. No 18: to ground floor; to lobby, compartmented ceiling with strapwork detailing, good plasterwork; to former drawing room (now forming reception of hotel), compartmented ceiling with excellent plasterwork, classical grey marble chimneypiece; large openings slapped through to No 19, adjoining. No 19: to ground floor; to lobby, openings slapped through to left and right, compartmented ceiling with strapwork detailing, good plasterwork; to former dining room (now forming reception of hotel), compartmented ceiling with excellent plasterwork, classical grey marble chimneypiece; large openings slapped through to No 18, adjoining. No 20: to ground floor; to lobby, pilasters to walls, groin vaulted ceiling, good plasterwork; to inner hall, good plasterwork and consoles; to rear room (rear wall slapped through to modern conservatory), good plasterwork; to 1st floor, to former drawing room, classical white marble chimneypiece, simple moulded bordered to walls, excellent plasterwork; to stair and stair hall, pitched rectangular cupola with cavetto cornice and good plasterwork including frieze below, stone open well stair with timber newels, turned balusters and pendants. No 21: to ground floor; to former dining room (slapped through to No 22 to form large single room), plasterwork borders and reliefs to walls, compartmented ceiling, good plasterwork cornices; to rear room (slapped through to extension in basement recess), good plasterwork borders to walls and cornice to ceiling (probably not all original). No 22: to ground floor; to lobby, very ornate plasterwork to ceiling; to former dining room, (slapped through to No 22 to form large single room; see Notes), pair of Corinthian columns between windows, plasterwork borders and reliefs to walls, compartmented ceiling, good plasterwork cornice; to stairs and stair hall, paired pyramidal cupolas in pilastered and consoled lightwell with cavetto cornice containing relief frieze, stone stair with cast-iron newel and wrought iron balusters. The use of plate glass in timber sash and case windows is consisistent with the date of construction of 16-22 Royal Terrace. 17 Royal Terrace was completed and first inhabited in 1860. 19 Royal Terrace was completed and first inhabited in 1861, and remained in the same family (Crawford) until 1916. During the early 20th century, from 1901, 21 and 22 Royal Terrace were the home of Professor Charles Sarolea, a Belgian head lecturer of French and Romance at Edinburgh University, and also the Belgian Consul. He claimed a speaking knowledge of 18 languages and wrote at least 25 books. He used the two houses to store his vast collections of books, furniture and art. Royal Terrace forms part of the showpiece of Playfair's Eastern New Town (or Calton) scheme, and as such is an important example of the work of one of Scotland's leading early 19th century architects. Playfair was one of the major driving forces of the Greek Revival in Edinburgh at this time, and his public commissions such as the National Monument, the Royal Institution and the National Gallery (see separate listings) gave strength to Edinburgh's reputation of the Athens of the North. The Calton Scheme was one of his few domestic commissions, and the variety of designs, different for each street, demonstrates Playfair's expertise with the Grecian style and his characteristic punctilious attention to detail. The railings are important as their design features distinctive elements which Playfair repeated in large areas of the Calton scheme. The massive scale of Royal Terrace, in conjunction with Playfair's characteristic attention to detail (for instance the decision to site houses on one side of the Terrace only, in order to capitalise on the spectacular views), make this one of his most impressive schemes. When designing Royal Terrace, Playfair also rejected the conventional palace front with its distinctive central pavilion; he instead chose a more subtle distribution of pavilions, creating a discreet accumulation of emphasis towards the centre of the terrace through the use of attic storeys and Ionic and Corinthian Orders. The resulting scheme, presented to the Commissioners in 1819, preserved the view of and from Calton Hill by the creation of a limited triangular development of three single-sided terraces on the hill itself. These looked over a huge radial street pattern, centred on the gardens of Hillside Crescent, on the land to the north. The feuing of these lower lands started well, with Elm Row, Leopold Place, Windsor Street and the west side of Hillside Crescent being built fairly swiftly. However, demand for the feus faltered severely, due to the growing popularity of new properties being built to the west of the New Town. This had a particularly bad effect on Royal Terrace, where construction stopped for 20 years, leaving 2 large gaps in the Terrace and a further 3 unbuilt feus to the west end. The fate of the whole Calton scheme was sealed in 1838, when it was decided that feuars should pay poor-rates to both Edinburgh and Leith. This virtually halted development for the next thirty years. The result of all these problems was that very little of Playfair's original scheme was ever built. When building resumed in the 1880s, some of Playfair's original street lines were adhered to, as was the case with Hillside Crescent, and in others such as Brunton Place, Brunswick Street, Hillside Street (originally to be a longer street called Hopeton Street), and Wellington Street (also curtailed). However, due to piecemeal residential, industrial and transport developments immediately to the north, it would have been impossible to further follow Playfair's original layout, even if this had been considered desirable.